Tokyo's Nikkei 225 stock average lost 362.82, or 3.9 percent, to 8,876.42, snapping a seven-day winning streak as the yen traded higher, and Hong Kong's Hang Seng Index fell 564.67 points, or 3.8 percent, to 14,422.40. 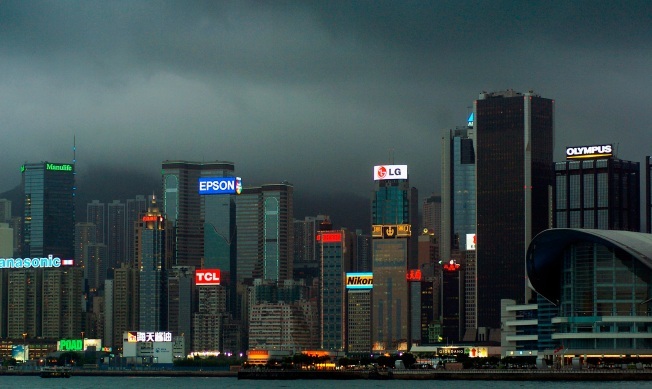 HONG KONG – Asian stock markets fell sharply Thursday, with benchmarks in Tokyo and Hong Kong tumbling about 4 percent, as more evidence of company woes and a weak U.S. job market rekindled worries about the unfolding global slump. Every major market in the region suffered declines, marking an end to a New Year's rally which had been spurred by speculation that massive government spending and low interest rates would lead to an economic rebound later this year. But hopes seem to fade after dour outlooks from tech heavyweight Intel, computer maker Lenovo and aluminum producer Alcoa, among others, highlighted the toll that the recession is taking on companies around the world. A worse-than-expected reading of the U.S. labor market only added to investor fears. "The economic reality is sinking in for investors and 'the hope rally' that many thought would last until Obama's inauguration seems to be at least fizzling for now," said Kirby Daley, senior strategist at Newedge Group in Hong Kong. "While there is potential for a bear market rally to re-emerge, I would be very leery of buying at current levels." Elsewhere South Korea's Kospi shed 1.8 percent, Australia's benchmark dropped 2.3 percent and Taiwan's key index lost 5.3 percent. India's market, which plunged Wednesday after the chairman of major outsourcing company Satyam Computer admitted to doctoring the firm's accounts for several years, was closed for a holiday. Asia's stocks tracked Wall Street, where investors sent stock lower after Intel warned about poor business conditions and an employment survey showed the private sector shed a greater-than-expected 693,000 jobs in December, fraying nerves ahead of Friday's employment report from the government. The Dow average tumbled 245.40, or 2.7 percent, to 8,769.70, its biggest point and percentage decline since Dec. 1. Broader stock indicators also tumbled, with the S&P 500 index falling 28.05, or 3 percent, to 906.65. European markets fell sharply as well. U.S. futures pointed to a lower open in New York. Dow futures were down 39 points, or 0.5 percent, at 8,705 and S&P500 futures were off 5.1 points, or 0.6 percent, at 900.10. As in the U.S. news on the corporate front in Asia was grim. Shares in Lenovo Group crashed more than 20 percent in Hong Kong trade after the world's fourth-largest computer maker warned it expects a loss for its latest quarter and will lay off 11 percent of its workforce and cut executive pay. Meanwhile, Cathay Pacific, Asia's No. 3 carrier, said it could lose nearly $1 billion from bad hedges on jet fuel and reiterated its profit warning for 2008, saying passenger and cargo traffic had weakened significantly. Cathay's shares shed 5.7 percent in Hong Kong. In Australia, shares in Macquarie Group Ltd dropped 3.7 percent after the country's leading investment bank said "exceptionally challenging" market conditions in the fourth quarter would hurt profits. Across the region, energy and raw materials producers took a beating as commodity prices fell sharply overnight. After a higher-than-expected increase in U.S. inventories sparked a 12 percent plunge in crude overnight, oil prices were relatively steady in Asian trade Thursday. Light, sweet crude for February delivery rose 54 cents to $43.17 a barrel in electronic trading on the New York Mercantile Exchange. The contract plunged $5.95 overnight to settle at $42.63. In currencies, the dollar weakened to 92.12 yen, down from 92.68, while the euro traded higher at $1.3647 from $1.3611.